Whether you are preparing for social work, psychology, counseling, marriage and family therapy, pastoral counseling, human services, or a related helping profession, this book presents the fundamental knowledge and skills you need. The authors' multilayered learning system integrates reading and discussion with self-assessment and practice. 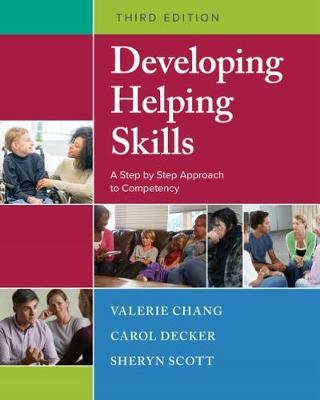 DEVELOPING HELPING SKILLS prepares professionals in training for generalist practice with individuals, families, and groups, including entire communities and organizations. The text also includes a case that helps you learn to think like a professional. Finally, role playing in practice interviews as well as evaluation tools allow you to assess your progress and determine your readiness to apply your skills in real-life settings. If you use the MindTap online learning experience, you'll have access to videos demonstrating application of the skills, flashcards, notetaking, a mobile app, and other resources to help you succeed in the course.